Add or Remove Programs - Uninstall KB976569; Inside Control Panel, open Add or Remove Programs. Check the Show updates checkbox. 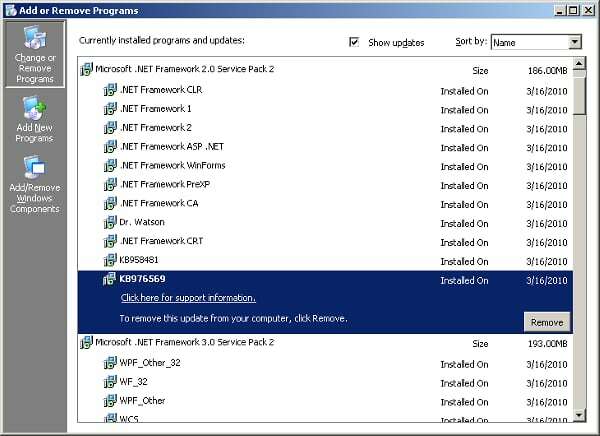 Under Microsoft .NET Framework 2.0 Service Pack 2, locate and uninstall KB976569. Enable scripting in your browser settings or try another browser. Copyright © 2019 Komeil Bahmanpour. All rights reserved.